I did rooting and applied lagfix to my Samsung Galaxy S.
Finally, after a long wait for my contract to expire. I got my mobile plan renew with Singtel. Got this Galaxy S phone at only S$148 with 12GB data plan, 200min talk time. Got the phone on 13 Aug but got it 1 to 1 replaced on next day due to a blue pixel on the screen. Having this phone(around 100 gram) alot lighter than my HTC Tytn 2(around 240 gram), I keep thinking I forget to bring my phone. Its slips smoothly into my tight jean pocket. After one day of configuration, setting, exploring the android market, forum and etc, I got the phone everything in place as sms,contact and email is migrated from tytn2(WM 6.1). The 4″ AMOLED screen is awesome, placing iPhone 4 beside making iphone screen look like a toy. The screen clarity and sharpness is unbelievable, you have to see it to believe it. To Iphone 4 users using retina display, you don’t use a microscope to view your phone screen. As for the brightness, it can kill your eyesight during the night at maximum brightness. The black color of the screen is real black not unlike other display, looks like dark grey. The speed. 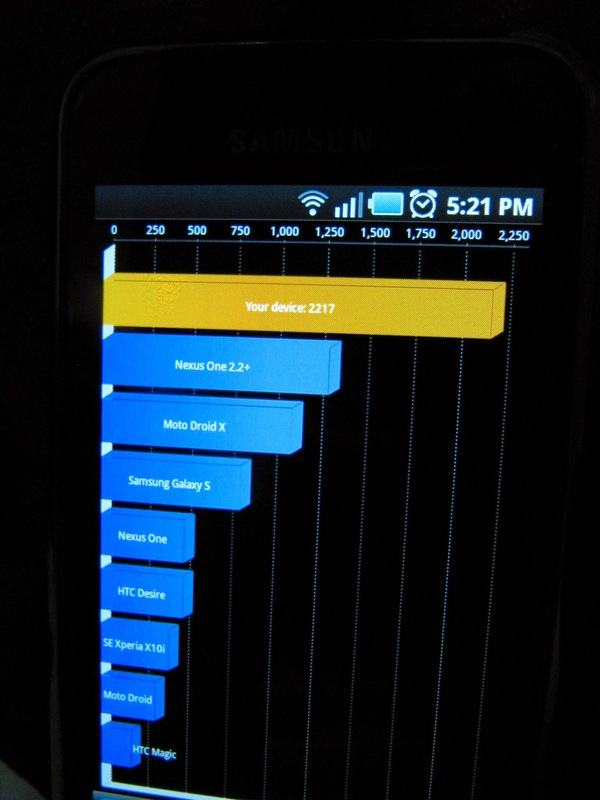 At 1Ghz CPU is really fast, the broswing experience is perfect. My tytn2 is really slow, I really hate to use it to browser. 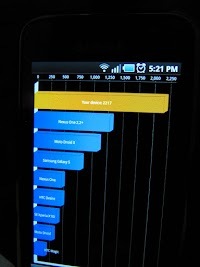 As to compare to Iphone 4, both using 1Ghz processor and I can’t comment much on this BUT reviews show Galaxy S load a little faster than IPhone 4. A real multitasking, iOS 4 just release with so call multitasking supported but its really usage only allow you to switch between program easier. Anything not on Iphone screen is not running, you can’t record video and read sms at the same time. Android on Galaxy S allows this to happen, so you can record video, read sms and runs many application at same time. There whole list off application run on background that Iphone can’t run, automatic profile switching, calendar based alarm, customize notification, sending schedule sms and long list to go. That all for now. I going to explore my phone. Will continue with the more advantages and the downside of the phone. So many thing to do.. So many thing to do in July/August. Genting, move room, Bali. Over exhausted, i think my body cant take it anymore finally sick. Glad, I am now recovered and back to work. Got couple bad news, I lost my working access pass and need to pay S$32.10 in cheque. This is my first time issuing a cheque. Haha .. so many thing different now, it is not necessary to cross 2 line at the top of the cheque now. Still feeling so weird. Another issue is I got a parking fine for parking near my near place. I already change the season pass to new address but they still issue me the parking fine. Ah, have to waste time to get this fix. Hated. Coming soon, my Bali photo. Update, just realize wordpress going for version 3.0.1 with minor fix. Not going to upgrade since there is nothing much important.